▶ SoldThis listing was sold on Jan 16, 2018 for the price shown here. Just completed kitchen and bath updates by Glen Alspaugh! 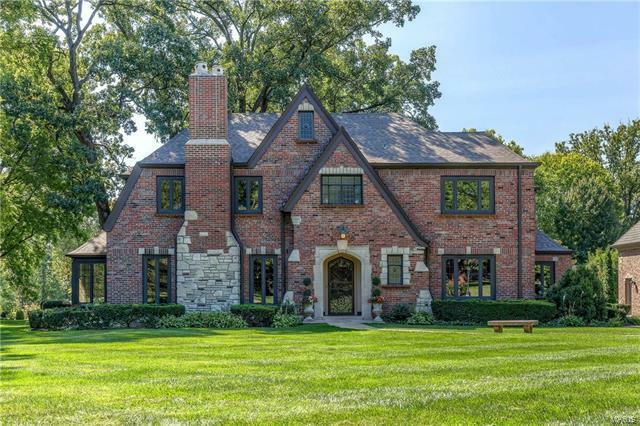 Outstanding architectural appeal inside & out! This beautiful 4+ BR home has wonderful 2 sty addition of breakfast room & family room on the main level off the kitchen, large master bedroom suite upstairs, plus 3 car attached garage! Built-in cabinetry & fplc in fam m. Striking moldings and arches. Lovely sunroom is 3 season. Main flr office! Kitchen has custom Markus 42 inch cabinets & island w quartz counters & brkfst bar. Viking gas cooktop & dbl ovens, SubZero refrig & Miele dishwasher. Upstairs find 4 spacious BRs & bonus rm & sitting rm. Front and back stairs. LL has knotty pine rec room w stone FP and BR & bath could be great for nanny w separate exit. Pella windows & doors bring in so much natural light & give wonderful views of the special lot, flagstone patio w fountain & stunning landscaping. Amazing storage w basement under original home & addition, many organized closets (2 walk-ins in master) & walk up attic. Lay Rd between Clayton Rd and McKnight. Turn west into Fair Oaks.